Throughout its vast experience in the canning industry, POLGRI has finally been consolidated as a pioneer enterprise in this sector after having devoted many years to the restaurant business and homemade products based on game birds. We have always had as a reference our traditional cuisine of La Mancha, taking Don Quixote as the most exact gathering of all the old familiar recipes from this worldwide known Spanish region. Half a century maintaining Castilian Spanish recipes of our homemade familiar cuisine. 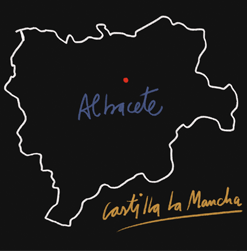 From our La Mancha’s artisan gastronomy to industrial production. Natural and selected ingredients, according to the Mediterranean diet. Ability to adapt to new trends and to customized cooking for clients’ orders. All these years long, and without giving up to its cooking roots, our enterprise has had to adapt to our customers’ new nutrition trends and habits. This way, we have been adding to our catalogue the current gastronomic guidelines, both those of the Mediterranean coast and those from far latitudes, in line with the international fusion cuisine that the cultural globalization of our new era demands. There is no better way to celebrate our fiftieth anniversary than turning back to the original formula of the best products from our recipe books, with those natural ingredients that led them to a great market success. We stand out at the very first place our marinated partridge and quail, which have been linked to the haute cuisine from the middle-aged banquets or in children’s tales to our current popular culture. We should add to it the increasing demand of stewed oxtail or the amazing amount of different pork’s dishes. Among all these, we have chosen our best-seller products such as pig trotters in sauce or pork sirloin of orza, cooked following the ancestral recipe (marinated with spices and olive oil). From artisan to industrial production in the small enterprise. In POLGRI we keep preserving Castilian and La Mancha cooking traditions for fifty years.